While HIV can now be a long-term, manageable chronic disease for many, aging with HIV can present a unique set of challenges. Stigma is among the foremost barriers to HIV treatment, care and support. It’s common for older adults living with HIV to feel lonely and isolated. That’s why the HIV: The Long View Coalition is helping to reinvigorate the dialogue around HIV and shift the conversation toward a focus on long-term healthier living — regardless of a patient’s age at the time of diagnosis. A large part of the Coalition’s mission is dedicated to reducing stigma and helping older adults living with HIV find communities and networks of support as they navigate the challenges of living with the condition. Ed Shaw says finding community support and reaching out to people who could help him better understand his diagnosis was so important in learning to live with HIV. Ed felt ashamed and embarrassed when he was first diagnosed; however, after talking with a healthcare provider and learning more about his condition, Ed began to feel comfortable enough to seek treatment. “The more I came to understand about HIV,” Ed says, “the less afraid I became.” Today, Ed mentors individuals living with HIV and helps connect them to resources and organizations like the ones that helped him more than two decades ago. Today, individuals with HIV are living longer, healthier lives than ever before. The Centers for Disease Control and Prevention estimates that there are 1.1 million adults and adolescents living with HIV in the United States. People aged 50 and over account for an estimated 47 percent of Americans living with diagnosed HIV. As a result of this demographic shift, the community has arrived at a crossroads. It’s a time of tremendous opportunity to envision the future and develop innovative solutions that can help improve the long-term outlook for those living with HIV. The HIV: The Long View Coalition is helping people living with HIV address some of those challenges. Established in 2016 in collaboration with Gilead Sciences, the Coalition is a forward-looking health initiative working to drive discussion and action on the long-term needs of people living with and at-risk for HIV. The Coalition is comprised of a diverse group of partner organizations that support some of the communities most heavily impacted by the HIV epidemic today. The Coalition is working to reignite the conversation around aging, long-term health and HIV. Earlier this summer, the Long View Coalition released its Never Alone video series. 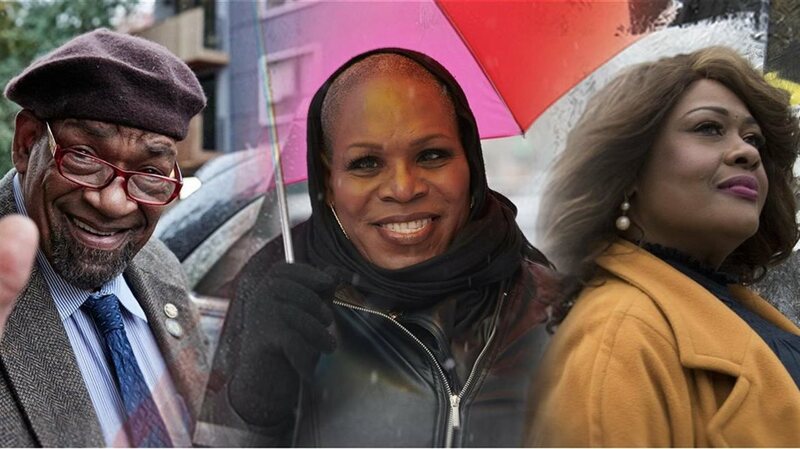 The videos feature the inspiring stories of three long-term HIV survivors, each of whom shares their experiences of overcoming stigma and aging happily and healthfully while living with HIV. * Community is always there: When anyone first hears the words, “You are HIV positive,” it’s easy to feel like no one else could possibly understand. Fortunately, that’s just not true. Whether you have a question about living with HIV, or you’re looking for additional resources, or just want to talk to someone who knows how you feel, there is a welcoming HIV community for whenever you need it. You are never alone. To learn more about the Never Alone video series, and to hear from Ed, Michelle and Kim directly, visit http://hivthelongview.com/neveralone/.